The eSIM will soon be part of every car. For now, Audi are among the first to roll it out. In recent news Audi has announced the launch of their e-SIM in latest car models. The electronic SIM technology will allow drivers to unlock connected infotainment services, but is this really a good deal for Audi car owners? Read on in the following article to learn more. German car manufacturer Audi has launched a new partnership with European Telco Cubic Telecom. Irish Teleco Cubic Telecom, is the provider of the e-SIM in-car connectivity and network data packages. E-SIM technology will allow drivers to access content and services on demand at their choosing. The German high end car manufacturer Audi, has recently announced that new models from the 2016 line will feature e-SIM technology. Audi has chosen to equip a number of its new car models with the electronic SIM card technology, allowing drivers to unlock many advantages. These new advantages enable drivers to access on-demand connected infotainment services. Audi has began equipping new 2016 models, which use the second-generation modular infotainment platform. This together with the Audi connect e-SIM, which is a factory installed SIM card, allows customers to access a wide range of services. Audi car owners can immediately take advantage of this, along with an included data flat rate for up to three years. The best part about this is that the data flat rate can even be taken advantage of from outside Germany. Audi has been working in collaboration with an Irish company, to bring the e-SIM functionality to life. Cubic Telecom an Irish telecommunications company, is a leading producer of worldwide connectivity solutions. The e-SIMs which are permanently installed, from this month onwards can be found in many of Audi’s 2016 models. The Audi connect e-SIM will be a standard feature in all 2016 models which include the second generation of the modular infotainment platform. Models which currently feature the new e-SIM technology are the A3, A4, Q2 and Q7 range. It’s a notable exception though, that currently the Audi TT, the R8, the A6 and the A7 are excluded from this new functionality. Audi by including the new electronic SIM technology within its car models, is enabling drivers to connect with out borders. Access to all of the new services are granted to owners at the time of purchasing a supported e-SIM enabled vehicle. In combination with the MMI Navigation plus, owners can take advantage of all this has to offer at no cost for three years. Before the new models are rolled of the factory assembly line, the new e-SIM technology will be installed for owners. Drivers in Europe will be able to access the Audi connect services, both for domestic use and when travelling around Europe. Audi car owners of supported models can also purchase additional data packages, enabling the creation of a WiFi hotspot. The WiFi hotspot will be independent of the integrated Audi e-SIM connect services. Connected to the in-car navigation systems, this will allow passengers in a supported car to browse the internet or check in on social media. With a supported European data package enabled, data will be transferred automatically when driving internationally. This means that when an Audi with the e-SIM feature enabled drives across the border, the internet provider will switch automatically. The best part of this e-SIM controlled automation, is that prices are fixed to the previously selected data package. It has been reported that cars fitted with the e-SIM will be able to enjoy download speeds of up to 100 Mbit/s. Drivers will be able to access Google services on-demand such as Street View and Google Earth, as well as parking and traffic information. One great feature is that drivers will be able to sync their smartphones or tablet devices to the Audi e-SIM. This means that Audi car owners can continue to use services which they regularly enjoy, as much and as often as they like. At this point in time it must be noted that the Audi e-SIM is mainly beneficial for European Audi drivers. This is due to the fact that the Audi connect SIM will in real time automatically connect to the network provider in each country. Audi customers can access Cubic Telecom, the data service provider, by simply accessing their myAudi account. Data packages can be purchased based on an Audi customer’s needs and their connectivity requirements. Drivers can also continue to use their own SIM card in their cars and simply establish a WiFi hotspot. This method will allow any data usage to be charged to the drivers SIM card, from their own Telco provider. The Audi e-SIM connect offer is the first in a collaboration between the Irish telco Cubic Telecom and the car manufacturer. It’s worth noting that this partnership is similar to that of both Ferrari and Mercedes-Benz. Both car companies were early adopters of what was known as Apple’s CarPlay infotainment system. This was launched back in 2014 and was used to sync dashboard and wheel controls to a driver’s Apple device. The Audi connect e-SIM comes built into the latest supported range of 2016 Audi car models. The electronic SIM is also known as an e-SIM and is embedded which means a physical SIM card does not need to be installed. Customers which live in Europe and purchase a supported vehicle, will receive both the e-SIM functionality and the optional Audi connect package. Drivers will be able to enjoy a wide range of supported products and services, including those on offer from Google. 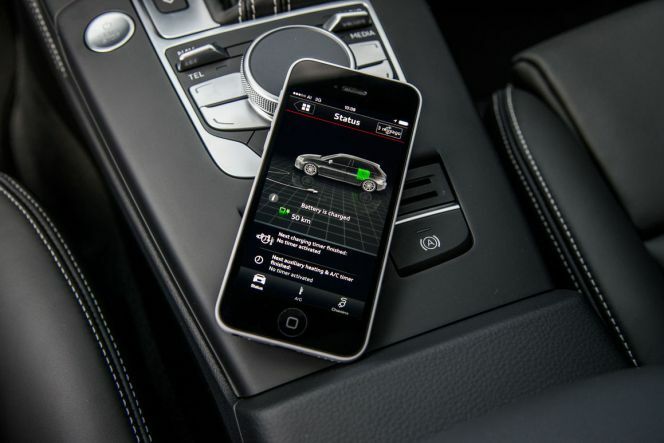 The e-SIM allows Audi drivers to enjoy the benefits of automatic network provider switching. Thanks to the virtual SIM card functionality, costly data roaming charges are eliminated.